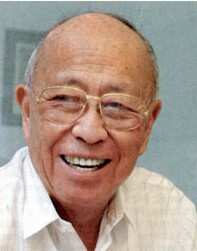 The Endowment is named after Ambassador Alfonso T. Yuchengco, a prominent Filipino industrialist who heads the Yuchengco Group of Companies composed of several firms including Rizal Commercial Banking Corp., Pan Malayan Management & Investment Corp., Great Pacific Life Assurance Corp., House of Investments, Inc., and the Alfonso Yuchengco Foundation, which has sent more than 5000 youths to school nationwide in the Philippines. He has served as Ambassador to Japan and the People’s Republic of China. He has also been a Professor of Accounting in Philippine universities and went to Columbia for graduate studies in business administration. UH Full time undergraduate or graduate student in good standing in a social sciences and professional schools with an academic focus on the Philippines/Filipinos Overseas, and preferably of Philippine ancestry. 1) A 3-5 page research proposal outlining project, e.g. fieldwork in Mindanao needed for M.A. thesis, completion of doctoral dissertation on Philippine economic history, etc. 4) A detailed timeline and budget. 5) Grant recipients must submit a report about how they used the award at the end of the grant year and share their research findings in a lecture/talk for the CPS Colloquium Series. Incomplete applications will not be considered. The scholarship is based on merit, not on financial need.